I know. I know. I do this every year… It occurs to me, however, and at the last possible minute, that I may not have been clear with your beardedness about my Christmas needs. And, given the responsibility I bear for making wishes for the county=s outdoor nuts, I worry that I may have overlooked something. Then, too, with an e-mail, I figure you might just read one more. Anyhow, Santa, here’s the list. Handle what you can, and I will be forever grateful. 1) While you are in the State, could you drop something into the stockings of our state legislators about supporting the Washington Children’s Outdoor Bill of Rights legislation which will be soon working its way through the House and Senate in Olympia? Last year, we got that great Senate Resolution passed to honor Washington Families’ Outdoor Heritage, and now we want the Bill of Rights. Its purpose is to get families and kids outdoors, Santa, and I know this is something that you would want too. Do what you can so that Washington can join the other couple dozen states and organizations which have such a Kids’ Bill of Rights. 2) I know you are dropping off small-caliber rifles and kid-size shotguns all around here. Could you please put a bug in kids’ ears about safety – about their folks getting them safety training – so they will be better able to look out for themselves and their friends when there are no adults around? 3) While you are here, remember that your whisper touches people in mysterious ways. How about you putting a bug up… er, uh… in the ear of some key decision-makers about establishing a large, safe, new shooting range in the valley? 4) Santa, could you drop a little stardust on my preference points for special hunt license draws? I know the drawing is a ways off, but you know how much I look forward to a moose, bighorn sheep, mountain goat, buck deer on the Training Center and branch-antlered bull elk hunt this fall. You know I didn’t make a lot of meat this last fall, and I have a growing family, so I’d sure appreciate your help. How much trouble could it be to help my odds a little, Santa? 5) About that southern white-tail deer hunt for next year. Texas, Alabama, Mississippi, Arkansas or the Carolinas – any of those will be fine – you can make that decision. My life would sure be richer if you just dropped that one in the stocking… I could just quit fretting about it. 6) Santa, could you drop a little stardust on the free bird seed that will be at Ranch and Home and Shaw’s Furniture? Pheasants, chukars and quail – and all those others we like to watch – need to make it to spring, so they can make more pheasants and quail and other feathered critters. Maybe folks will help defray the cost of the seed with a contribution to Field and Stream. 7) There are a lot of youngsters who would benefit from a pair of cross-country skis, Santa. This could be the year for them to take part in the youngsters’ ski school Jeff Hashimoto and Carey Gazis have put together. Just drop off the skis and tape a note to them that points the family to eburgski.blogspot.com or jeffhashimoto@gmail.com for more info. 8) It will be sort of last minute, but you might drop a note into parents’ stockings, reminding them that, maybe, the best gift they could give family and kids is some set block of time doing whatever the recipient would like to do. Things will be tight for a lot of Homeys this year, Santa, but this sort of gift costs little to nothing and could last a lifetime. 9) Our little side-chat at the mall? Handle that one, Santa, and I’ll be smiling ‘til next year. Oh, yeah. Happy New Year! If you’ve been tagging along for many of the almost 17 years of Fridays we’ve been meeting here, you know how I enjoy wandering the woods for most years’ perfect Christmas tree. This year, we’ve added a twist; in the next day or two, eleven-month-old Grand-Huckling Jonas Laylan Kielhorn will be voting on a tree for the first time. As you no doubt recall, The Old Man loved our “tree hunt.” He explained to his three sons that we harvested fruit and vegetables and deer and pheasants and ducks so that we could sustain our physical selves through winter. Hunting for, and bringing home, a Christmas tree, he said, was to sustain our spirits through whatever lean times might come. With his construction work, and the tough 1950s, lean times were almost guaranteed by Christmas time. He had precious little education, but he was a wise man. At some point in December, we would all pile into that old Chevy and head up to the ranch my Uncle Ed and Aunt Evy owned along Little Chumstick Creek, out of Leavenworth. Somewhere on those hillsides, we knew, was our perfect tree. It was as close as The Old Man ever got to true democracy: we each had a vote, and only a unanimous vote would get a tree cut. We would stand before tree after tree, and split each ballot. Over a few hours, of course, the split on the ballots would grow narrower, as my younger siblings grew weary of democracy. Finally, some ideal young Douglas fir (in his opinion, the only true Christmas tree) would receive a unanimous, if teeth-chattering, “aye!” After a short ceremony, my father would cut the tree. At the house, cousins and parents would gather at the wood stove, hands wrapped around huge mugs of hot chocolate with marshmallows. Plates held warm chocolate-chip cookies. We dozed our way back to East Wenatchee, warm and full of the promise of Christmas. No matter how few presents or how little money, there was always the tree. It was our hearth. Around the tree, we heard the biblical stories of Christmas. There, we learned of family Christmas traditions. Christmas lasted until the tree came down. There were years that was well into January – times when we needed a constant reminder of the spirit of the season. Years later, in Colorado, I would take my Hucklings and their mom on a too-long drive into the foothills of the Pike National Forest southwest of Denver. In a sinuous line with a hundred other chained-up vehicles, we would snake our way along the designated one-way forest road to a draw or hillside which we knew held the perfect tree. Somewhere around two hours out of our driveway, we’d pull off the trail and pile into the snow. With yells of “Up there, dad!” or “I think I see a good one down there, mom!” we would inaugurate the Christmas season. There, too, our trees were Doug firs, always with a flat side, sparse limbs, or some other flaw which made them perfect. The balloting still took as long and the younger kids always gave in first. The unanimous tree was always cut after a ceremony, and the Hucklings worked together to get it back to our rig. The hot chocolate was as rich and creamy as in my youth, the cookies were always perfect, and the kids always conked out as soon as I fired up the vehicle. One year, the kids asked to keep the tree up until it was a decorated skeleton, and we could easily find all the ornaments. Sometime in March, I insisted that we hire a fire marshal or get it out of the house. When I returned to Washington, in 1993, I returned also to my annual Christmas tree hunt. Our Wenatchee National Forest is loaded with perfect young Douglas firs (and others, if you prefer). Permits are five bucks each, and your family may have two. Pick them up at the Cle Elum Ranger Station, Intermountain Radio Shack, Pioneer Coffee, Mac A Bees or the Sportland Shell Mini Mart. Our Ellensburg Kittitas County Chamber of Commerce has them, too. Most of the past couple decades, even with the Hucklings scattered around America, we have managed a tree hunt. In the next day or two, Jonas, mom Arcelia, dad Dallas, and Diane and I will each have a vote on our hunting trip to the head of Lake Cle Elum. Given that Jonas votes for most everything by putting it in his mouth, I’m guessing he will vote for taste. Should be an interesting hunt – and we will find a perfect tree. It always seems right. The tree spans all of the Christmas holiday. It is decorated with the trappings of faith and family ways. It is surrounded and filled with gifts and love. It is the focal point of our celebration. May your tree be a center of the season’s joy. May its scent carry you to the woods. Whether you find it in a lot, in the woods, or in a box at a local store, may it be a source of family pleasure and togetherness. I know you’ve been holding off – waiting for my list of locally available hot gifts for the outdoor nuts in your life. In response to that need, and in keeping with my role as chair of the Gifting in Support of Homey Businesses Subcommittee (under Reecer Creek Rod, Gun, Working Dog & Outdoor Think Tank Benevolent Association bylaws), please find herewith the hot gifts for the 2015 outdoor nut on your list. This list is focused on Paradise – Kittitas County, Washington – but the gifts will be found in almost every small town with an outdoor sports store. Here’s to gifting outdoor nuts everywhere! Start with the immediate. The 2015-2016 Light Rifle Class League just started at Valley Rifle and Pistol Club. You may still be able to join the 16 week program of safe family recreational shooting. One small fee for your entire household, and you bring your little rifle and ammo. The Club will supply regulation 10-bull NRA targets, a modern heated range facility, the direction of a qualified range master and coaching. What better gift could you give your children and family? 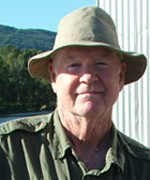 Learn the responsibility and discipline of safe shooting and firearm handling while enjoying week after week of the simple pleasure of putting holes in paper exactly where you want them. Mel Goudge at 925-4285 or Hal Mason at 962-3002 will get your household in the game. At the east end of the valley, Sure Shot Guns & Pawn, in Kittitas, has a wide variety of firearms, ammo and accessories. Todd and Melody have kids’ Keystone Cricket youth .22 rifles in boy/girl camo and colors, and several other colors of firearms. Take a look at the striking Sig Sauer Exclusive .380 handguns with white frames and colored grips. Suppressors and stripped lowers (for DIY fans) are hot this season, as are gift certificates in any denomination (they always fit). 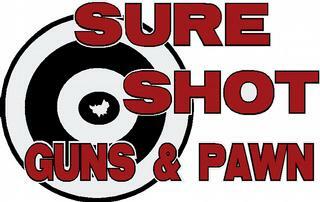 509-968-4867 with your questions, or go to www.sureshotguns.com. 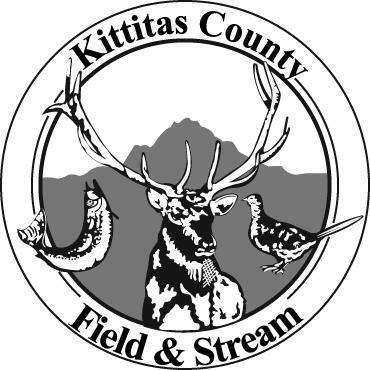 Nika Mihailov and his Kittitas County Trading Company crew on Main Street are seeing continuing strong interest in new and used handguns, although they have closed their shooting range. Concealed carry handguns and accessories of all kinds are headed for Santa’s bag. As has been true over the last few years, the AR 15 type rifles and accessories are hot gifts, along with a wide variety of ammo for handguns, rifles and shotguns. There is an upsurge of local interest in waterfowl, and boxes of the proper shotshells are headed for stockings. High quality knives – particularly pocket knives – have been in demand. Nika is again paying top cash for gold and silver (check your old or broken jewelry) – a good way to start shopping with a pocket full of unexpected cash. If you are looking for something in particular, or have a question, call the crew at 509-925-1109. It may be in Cle Elum, but John’s Three Forks Ammo & Reloading would be a superstore anywhere, especially after the recent expansion. Everything your gun nut and shooter needs or wants for the holidays, from spotting scopes to gun safes, and those game cameras that many folks are using for home security. No one carries more or better reloading equipment than Three Forks, including the top of the line Forster and Dillon brand equipment and tools. These guys stock more bullets and live ammo in more calibers and variety than ever, with more than 1400 choices, and case lots in several calibers. If you need it, they probably have it; if not, they will find it. Check it out at www.threeforksreloading.com or 509-674-2295. In the middle of it all is Bi-Mart. From stocking stuffers to under-the-tree gifts, start with .22 ammo in good supply and work your way up to great prices of rifles and shotguns. In between, you will find a wide array of styles and models of Crossman air rifles for boys, girls and adults, along with the remarkable Workshop Knife Sharpener system and a great selection of knives, knife kits and multi-tools. You’ll also find shotgun shells (including steel shot), waterfowl decoys, insulated camo clothing and the decorative wooden ammo boxes, too. Stocking stuffers like flashlights, headlamps and keychain lights always have a place. 509-925-6971 will get you to one of the Bi-Mart sporting goods pros. Brothers n Arms, at www.eburgguns.com and 509-933-4867, carries a full line of firearms and accessories, including some rather hard to find items. They can put together most any firearm you need. Their comprehensive regular class schedule for firearms handling, safety and shooting encompasses old hands, beginners, couples, women, and the Zero Shots Fired Kids Safety Class. If one or another of the women in your family is receiving a handgun, complete the gift with a safe shooting and handling class just for her. Contact Marilyn Mason at 509-962-3002 or Brothers n Arms. 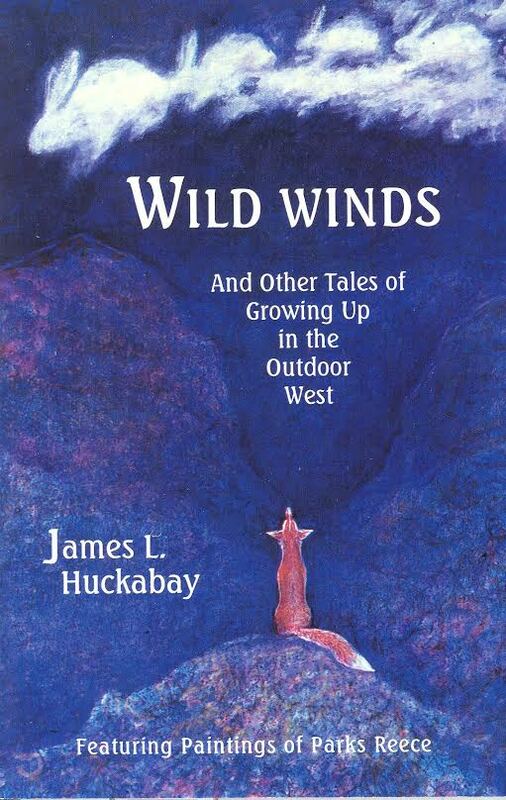 I always recommend a copy of the updated third printing of Jim Huckabay’s heartwarming “WILD WINDS and Other Tales of Growing Up in the Outdoor West.” For gift or personal copies, drop by Jerrol’s or visit www.insidetheoutdoors.com.